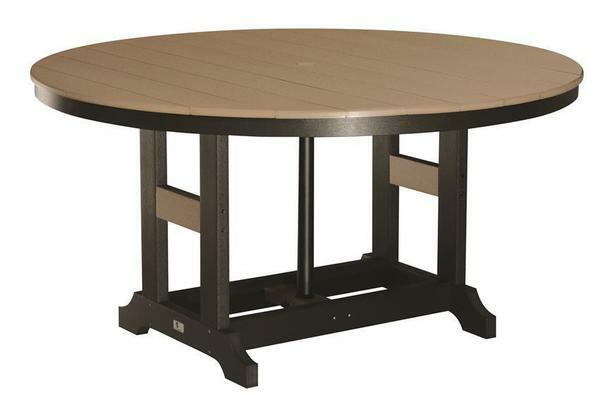 Bringing family and friends together for an outdoor meal has never been easier with our spacious, 60" Round Garden Classic Counter Height Table. Comfortably seating six people, this table is sure to be a great addition to your outdoor seating area for those family get-togethers and barbecues! Choose from our wide selection of poly and cushion colors to create a unique outdoor space for your home. Total Height - 35 1/2"